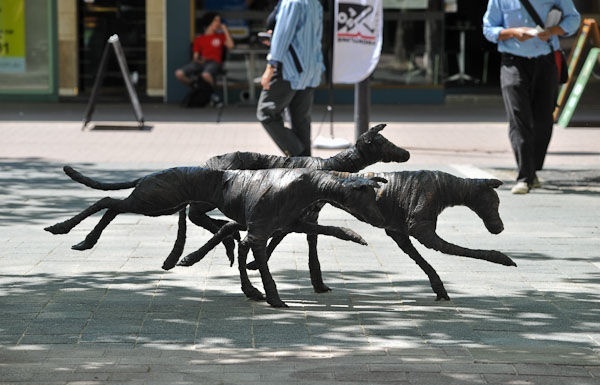 A pack of wild dogs has been set loose in the city. 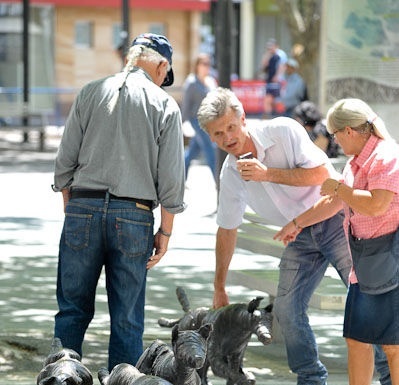 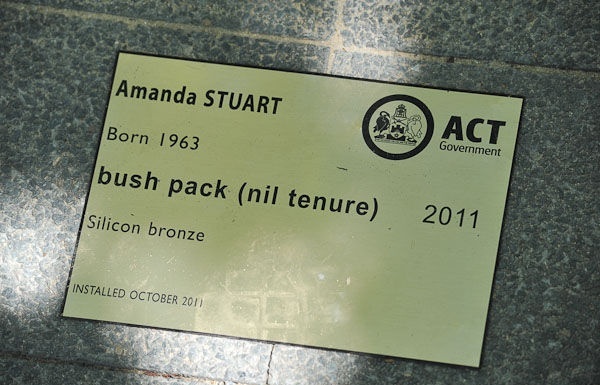 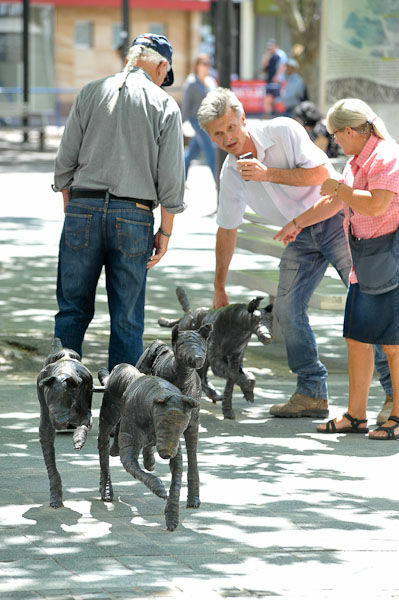 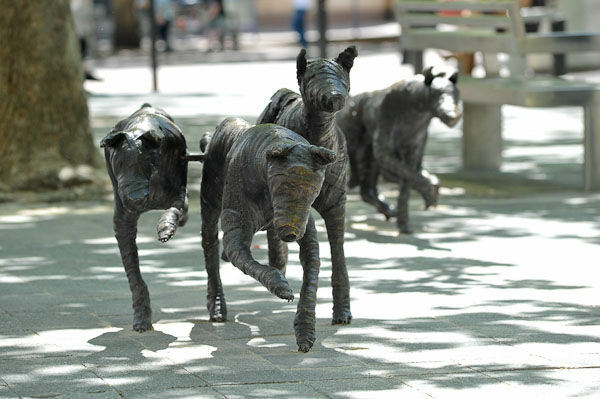 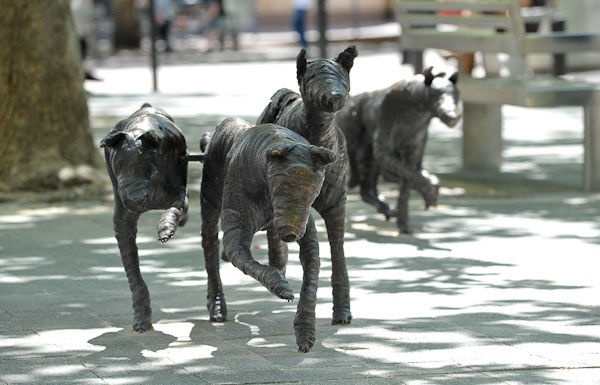 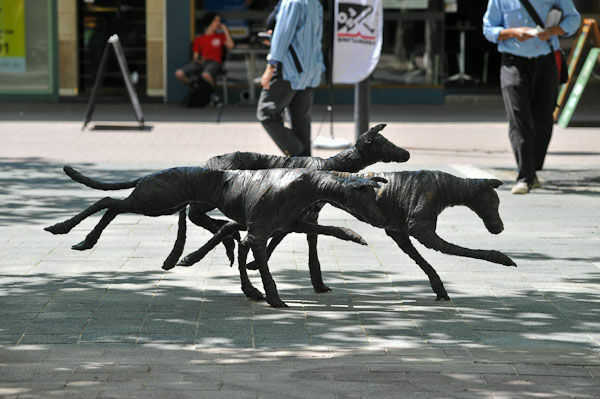 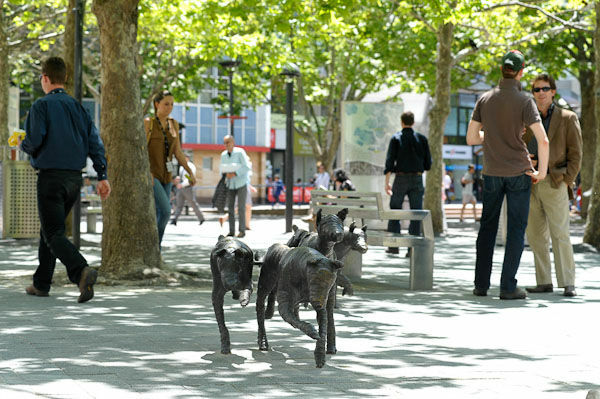 But it’s all in the name of public art by sculptor and former park ranger Amanda Stuart, who took the measurements for the seven sculptures, titled “Bush Pack (nil tenure)”, from the carcasses of wild dogs. The commission, valued at $150,000, is one of the latest in the ACT Government’s public art program, which ends next year.